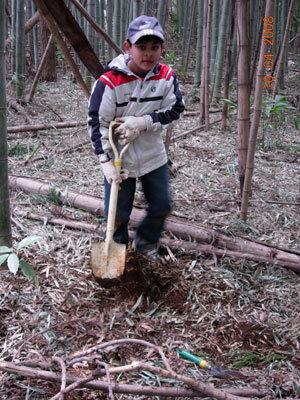 We went to a bamboo forest to dig up some bamboo shoots but we dug up too many. 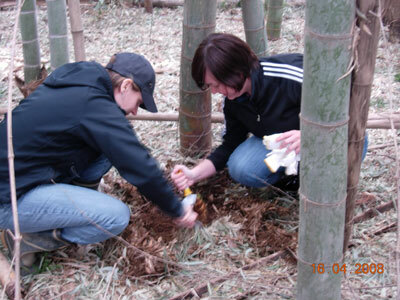 Some bamboo shoots were easy to dig up some weren’t. When we finished, our friends made us lunch. There were so many kinds of food, for example takenoko rice. I want to go to the takenoko forest again.